Cover image of the book is currently a placeholder. You can pre-order this on Amazon.com. Earth. Air. Fire. Water. These are the four nations that lived in harmony until the Fire Nation attacked. For the next hundred years, war raged across the globe. It was believed that all inhabitants from the Air Nation had perished. Then, a girl and her brother discovered a twelve-year-old boy frozen in an iceberg. His name: Aang. He is the Avatar, the master of all four elements. Together Aang and his friends went on to save the world! Now a man, Aang looks back on these adventurous years—from being found in the ice to fighting epic battles to negotiating peace. This is Aang’s story, his mementos, and keepsakes. Avatar: The Last Airbender: Legacy is the collection that Aang passes down to his son Tenzin, who will one day be a master Airbender, too. Readers will relish Aang’s heroic tales and the posters, clippings, cards, and maps he gathered along the way! I worry it'll be a retelling of the adventures in ATLA + the comics... There should be something new in this book? I don't mind a little photo of Katara & Aang at their wedding. Now that would be very sweet. I do believe it'll be most likely attempts to show the evolution of the ATLA world, which meant more factories and stuffs, firebender working with earthbenders and stuffs. I know that the comics are already showing it but this one will presumably show ATLA in 20 years or stuffs. Did you know Tenzin had a brother and sister? Hmm interesting. 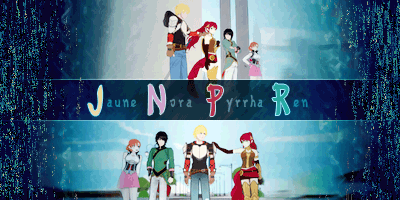 Hopefully it'll have some new stories within it and not just a full retelling. Any mention of who the writer is? God I hope it's someone new/that worked on ATLA. . .. . I'm hoping it's something like this, with artifacts like Aang's necklace from the finale, a scrap of glider wing, and Aang's wanted poster. Ideally, the book would be written as Aang's journal, with commentary by Katara, Tenzin, and Jinora, and maybe others. Any mention of who the writer is? 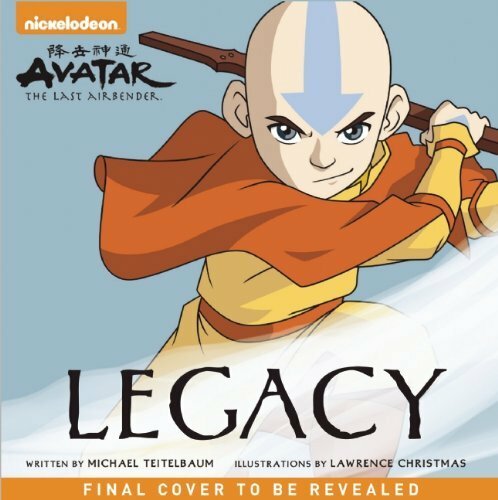 God I hope it's someone new/that worked on ATLA. . .. .
*points to the picture itself* They're listed under the word "Legacy" and if you click te Amazon link as well, the info's there too. Sorry... Im on my phone in a foreign country... The image didnt load. I never read those books, so I can't comment on Michael's faithfulness to canon or writing ability, but at the very least he isn't a stranger to the material. What I'm hoping for is a kind of worldbuilding "bible' or companion that could ease the transition from ATLA to LOK. Not sure how his writing will scale for the possibly more mature audience this book will get. I'm kinda expecting this to be a general timeline of Aang's life. It probably won't go into details with new stories but it'll mention just some important events and what Aang thought of it. I agree with Icy though. A Kataang wedding photo would be great! Or any Kataang thing...though I think that's kinda a given. i am interested in Aangs famous parenting skills. was he really that far off the mark, or were his kids being really immature and unfair in the show? and where was Katara while Aang was being a lousy dad? huh? Maybe the Zutarians can tell you. She was playing chess with Zuko, obviously. There's some more info on this book by way of Morgan Bannon from avatarthelastairbenderonline.com. A fold out Fire Nation Family Tree, a pamphlet on mastering the 4 bending arts, a foldout map of the Avatar world and a newspaper clipping about the Fire Nation’s attack on the air nomads. Not too sure what a newspaper clipping would look like 170 years before LoK but the promise of a contentiously canon Fire Nation Family Tree is very interesting. meh, i feel massive trolling coming up. there are only a few gaps in between Roku and Ursa, and without backstory, just names won't mean much. likely that family tree won't even be on there since only ursa married into the royal family. inside the family tree the only somewhat mystery is how old Azulon got to be. if they give us numbers at all. the rest is known, and LOK era additions shouldn't be on there since that hasn't happened yet, right? The ATLA artbook had many portraits of Fire Lords before Azulon that M&B never got to name. I hope they get named in this family tree. Yeah, and maybe get the names of both Zuko's wife and daughter. It'll be great to see the world transform from ATLA to LOK and Aang's thoughts on it. Maybe if we're lucky, there will be images and hints at the Gaang's lives later on. Jeez Aang you didn't leave a book for your other 2 kids. My god he really did play favorites. Hey Aang you do have other kids you know, Bumi and Kya remember them. "Bumi ? Kya ? What are those, food marks ?" Apparently. Aang probably forgot who they were too. I'm cruel here, I doubt he forgot them. He left them some precious souvenirs too, maybe. Nah, Kya probably got Katara's souvenirs, and Bumi was just beaten with a stick when he asked if he could have something. Apparently the release date for this book is pushed to next year. Aw. ^Yeah, I posted that like a month ago.